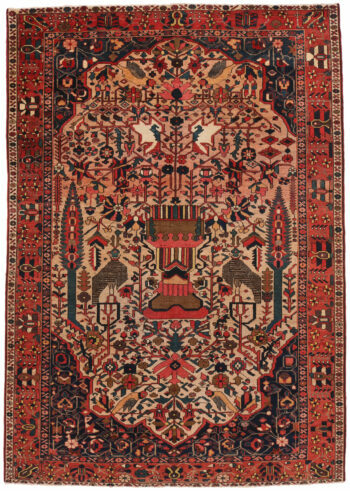 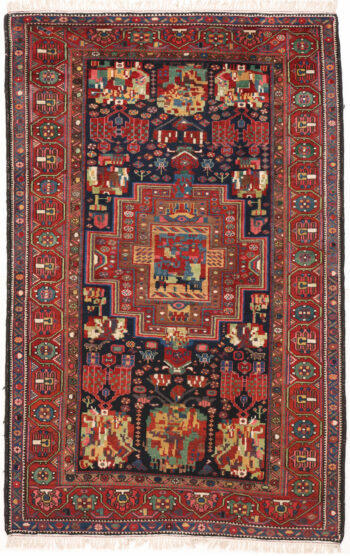 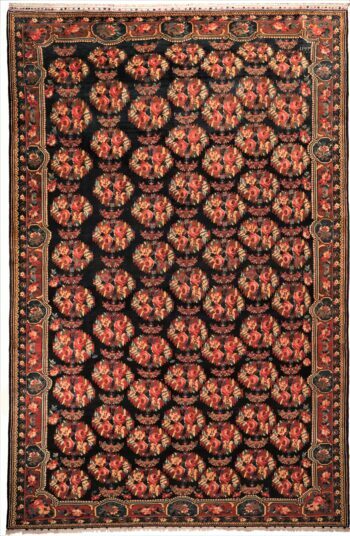 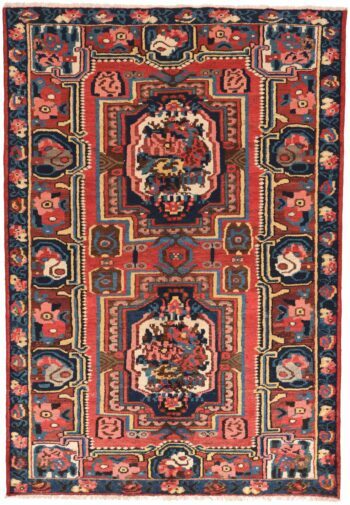 Bakhtiari rugs are named after the Bakhtiari tribal confederation, an ancient tribe in the Chahar Mahal region of south-central Iran, southwest of Isfahan. 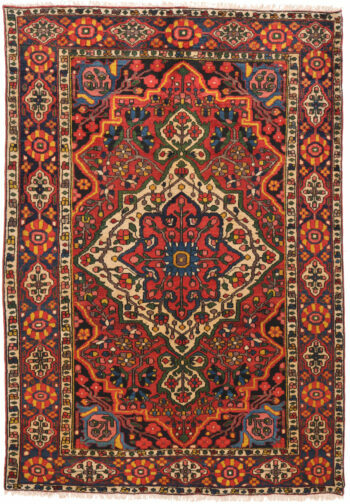 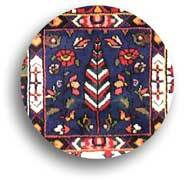 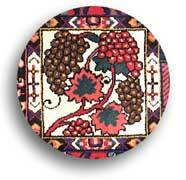 Small rugs, kelims, and bags are woven by nomadic Bakhtiari, while larger carpets are made in the villages. 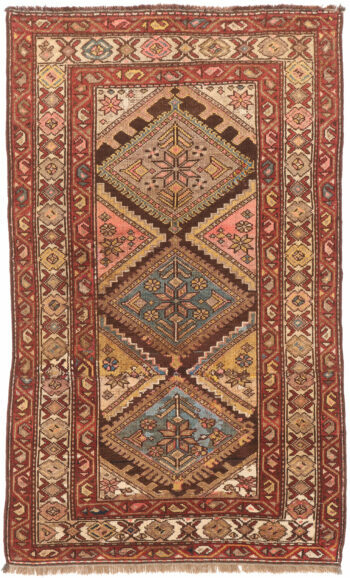 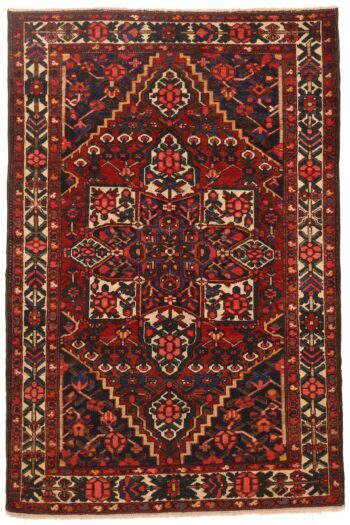 The classic design of nomadic Bakhtiari rugs is a checkerboard or garden pattern with repeated squares or diamonds, decorated with trees-of-life, birds, flowers and animals. 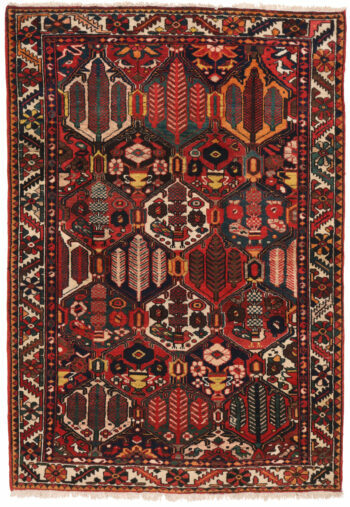 Generally, these are woven with a Turkish knot in greatly varying knot densities. 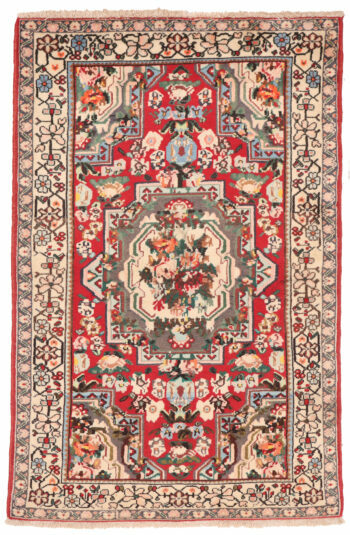 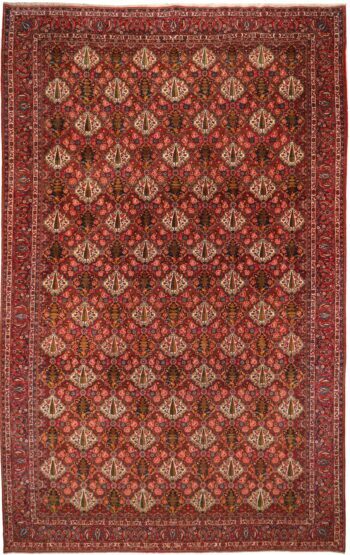 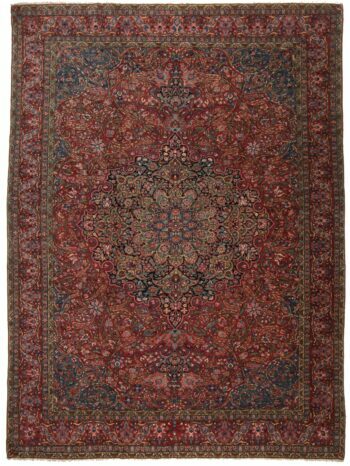 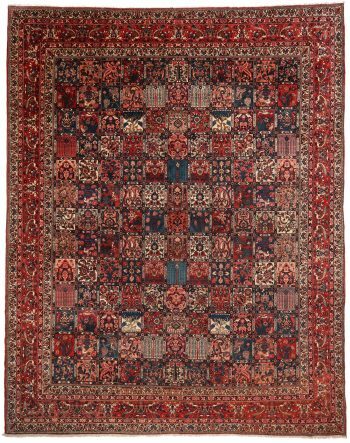 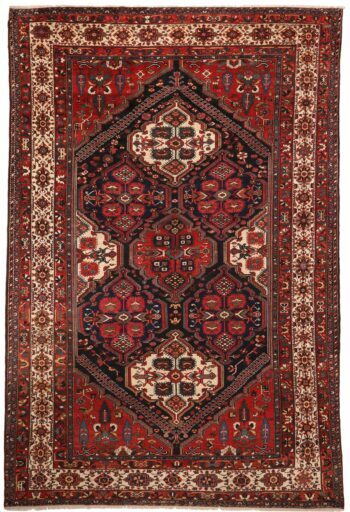 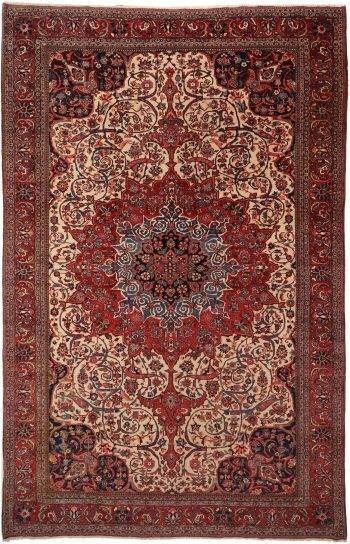 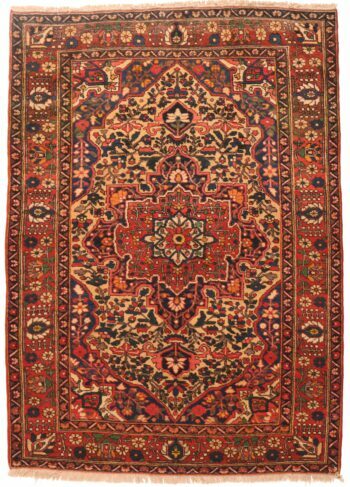 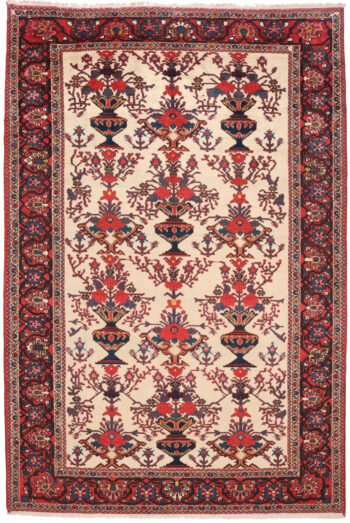 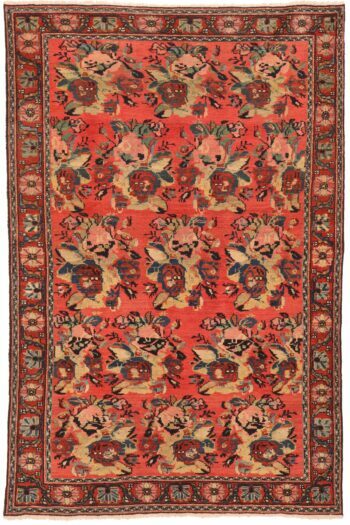 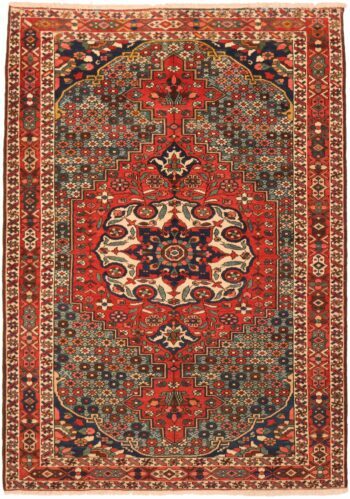 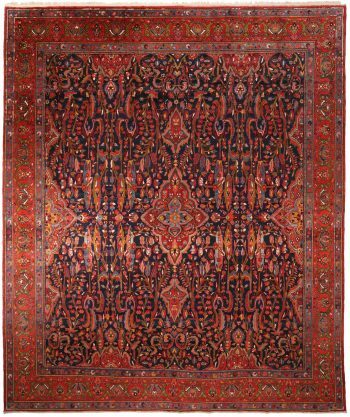 In the town of Shahr Kurd beautiful floral patterns are still produced with the Persian knot, showing impressive medallions reminiscent of an earlier Isfahan style. 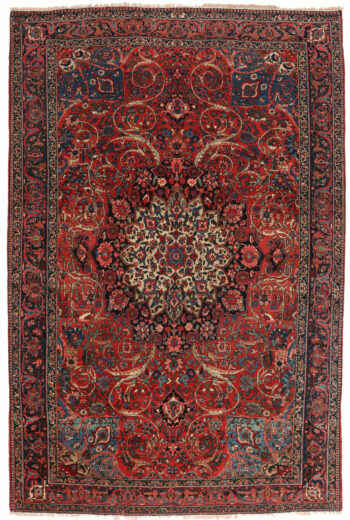 Colour schemes include shades of brown, rust, yellow ochre, green, beige, dark blue and red.